Businesses that are looking to support same day ACH may be interested in NACHA’s recently released essentials guide. If you’re unfamiliar with same day ACH, it’s expected to increase the speed of ACH payments by allowing both sending and crediting of payments on the same day. This becomes effective on September 23, 2016. The guide itself discusses the opportunities, benefits, and value that same day ACH is expected to provide. Within the guide are resources such as a same day ACH overview e-book, an infographic, and information lists for the hire-to-retire, order-to-cash, and procure-to-pay processes. Those interested in the guide can download the items individually or at once from NACHA’s website. 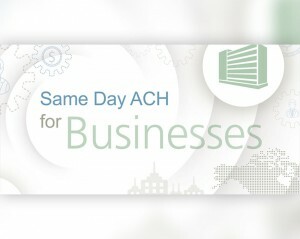 You can learn even more about same day ACH on NACHA’s same day ACH hub.